As the Temecula glass door design experts, Your Door Our Glass knows a thing or two about the hottest trends in doors. Today, we’ll take a look at some door designs, finishes, and colors that are coming in hot in 2018. White doors and black doors will always have their place in modern interior design—but how about something in between? Grey doors are an unexpected, yet delightful addition to any room—they’re much softer than jet-black doors, and they don’t get as dirty as white doors. Opt for a dark grey for a modern-rustic look, or choose a lighter grey with some shimmer for a look that’s modern and airy. Whatever you decide, you’ll have an unexpected and timeless door that will look amazing, no matter how much the trends change! In 2018, wallpaper has become doorpaper. More and more people are looking to add unexpected colors, patterns, and textures to their doors to give their spaces a one-of-a-kind look—and the results are stunning. Imagine doors with soft, satin-like textures or shiny, metallic finishes—you could even have a door with the same pattern as your grandma’s old wallpaper! The options are limitless, and the look will be spectacular in 2018 and beyond! Frosted glass is a timeless look for doors and windows on the interior and exterior of your home—but it wasn’t until 2018 that frosted glass was used to its full potential. This year, designers and door craftsman are wandering into new territory with custom frosted glass artwork that adds privacy and visual punch without sacrificing natural light. This doesn’t have to be used in kitchens and living rooms. In fact, bathrooms are an excellent place to utilize frosted glass art. Imagine a bathroom with floor-to-ceiling windows and a glass door—not exactly a comfortable time in the shower, is it? Now imagine the same bathroom with complex frosted glass designs from floor to ceiling. People can’t see in, but light still comes in, bathing your entire bathroom space in a soft, calming, white light. The frosted glass designs add an element of visual dynamism, and with a few windows that open at ceiling level, you’ll never have to worry about dealing with a clammy, dark, and mildewy bathroom again. 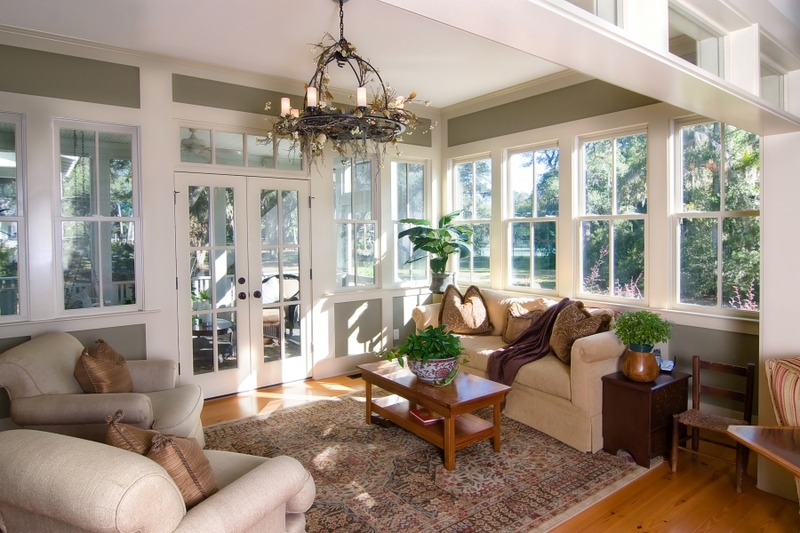 Whether you’re getting designs on windows or doors, this trend is sure to be a hit for years to come. Pocket doors flex in and out of interior design trends over the years—and to be honest, we feel like they transcend trends entirely. Pocket doors are really a matter of taste—some people like them and some people can’t stand them. These doors certainly have their practical, space-saving purposes, and they’re super stylish in modern spaces. But some people are just a bigger fan of traditional doors. Regardless of which side of the argument you’re on, pocket doors are back in style in 2018. Be bold and go for the pocket door this year, or wait until the trend comes right back around again in a few years. Because of their stylistic versatility and natural beauty, glass door designs will always be trendy in some sense. Leave it to the professionals at Your Door Our Glass to add the hottest glass door inserts to your door so you’ll have an entryway to be proud of. Schedule an appointment with us today!